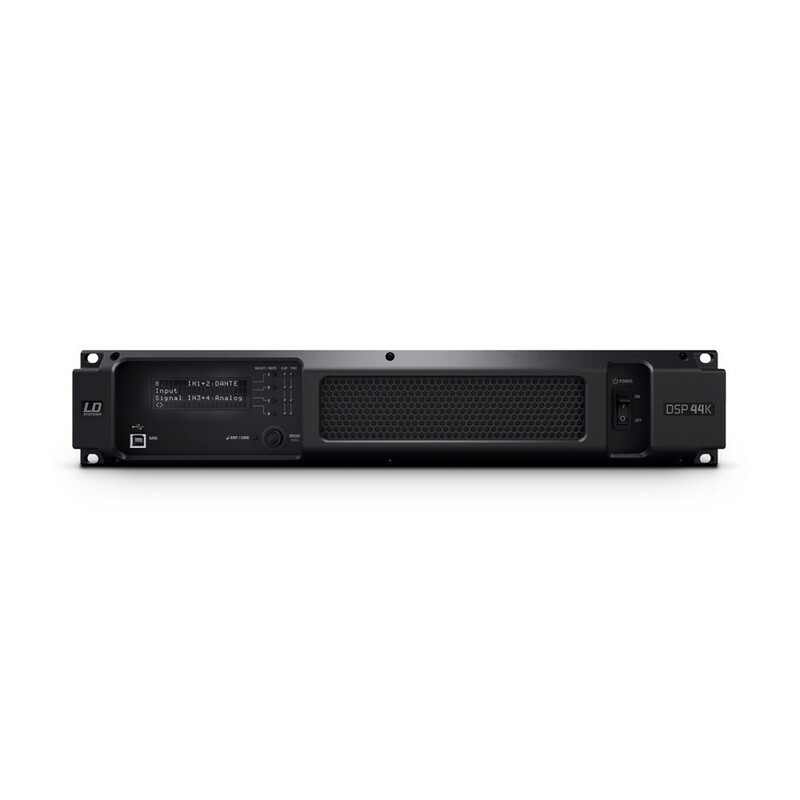 The LD Systems® DSP 44 K is a professional network-ready 4-channel power amplifier for demanding large-scale sound reinforcement. 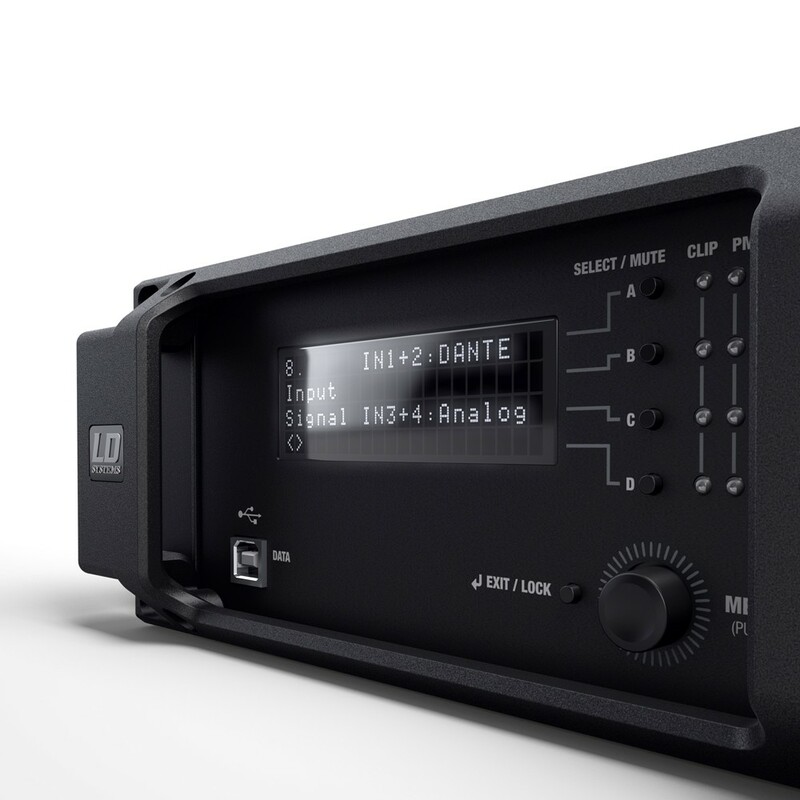 It includes extensive DSP control and Audinate’s Dante™ networking technology, a self-configuring solution to distribute digital audio over Ethernet with extremely low latency. 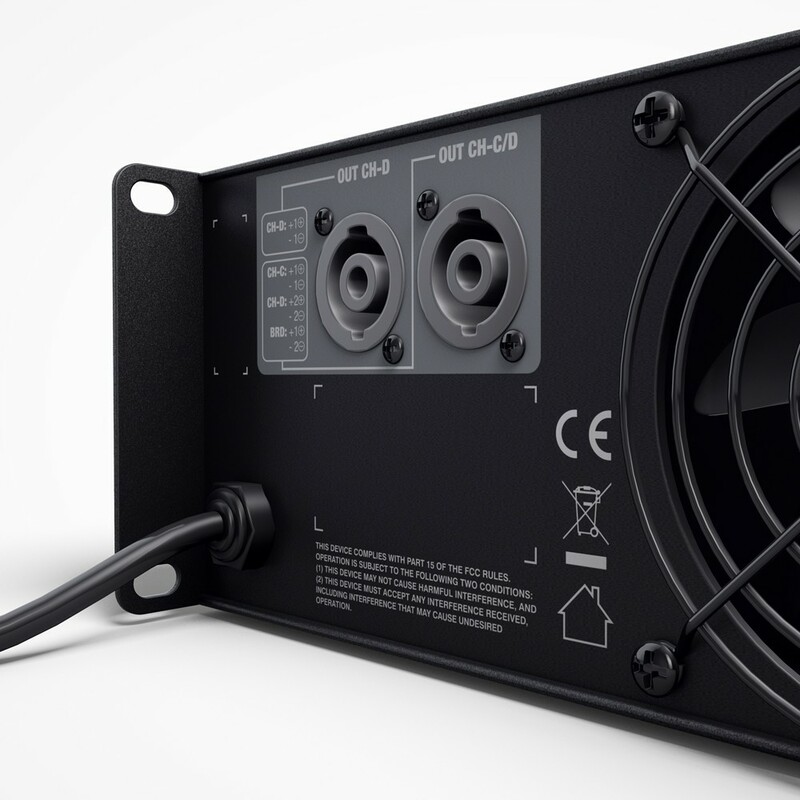 Designed for concert-quality performance, the DSP 44 K delivers a massive 1,200 watts per channel and 2 x 2,400 watts bridged. The high-efficiecy Class H topology and switch mode power supply with power factor correction (PFC) provide a wide dynamic range and excellent transient response. The DSP 44 K features comprehensive protection circuitry including power-up, DC, overcurrent, thermal and short circuit protection plus current and clip limiters to prevent SMPS overload and loudspeaker damage. Together with a pair of temperature controlled fans, they ensure exceptional reliability in the most demanding applications. The 24-bit DSP allows precise control with FIR and IIR filters, parametric EQ, crossover, delay, RMS and peak limiter functions. User configurable loudspeaker presets with password protection enable fast setup. The LD Systems® DSP 44 K sports a menu driven 4-line display and rotary encoder with push button switch for easy configuration. The Dante™ interface permits instant integration into networks using the Dante™ protocol, and the included software enables computer control and monitoring. 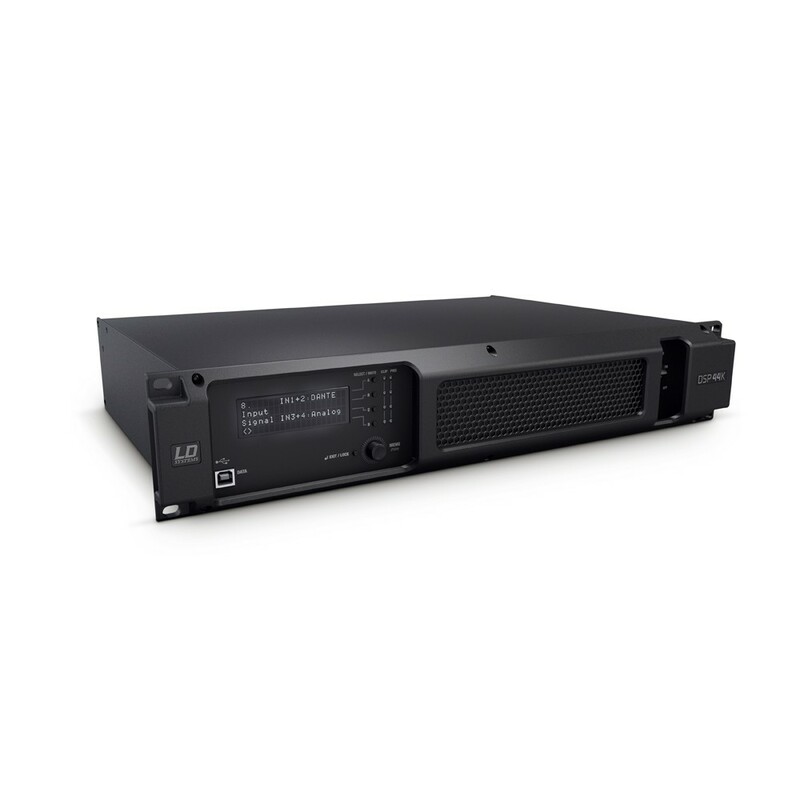 The LD Systems® DSP 44 K is housed in a 2U all-steel chassis and weighs just 7 kg. It provides balanced Neutrik® XLR inputs, speakON® output connectors plus USB and Ethernet ports. For optimal speaker performance and safe operation the DSP 44 K comes with an LD Systems® loudspeaker preset library. This 19-inch patch bay for the LD Systems DSP 45 K facilitates convenient access to the power amplifier’s inputs and outputs from the rack front. 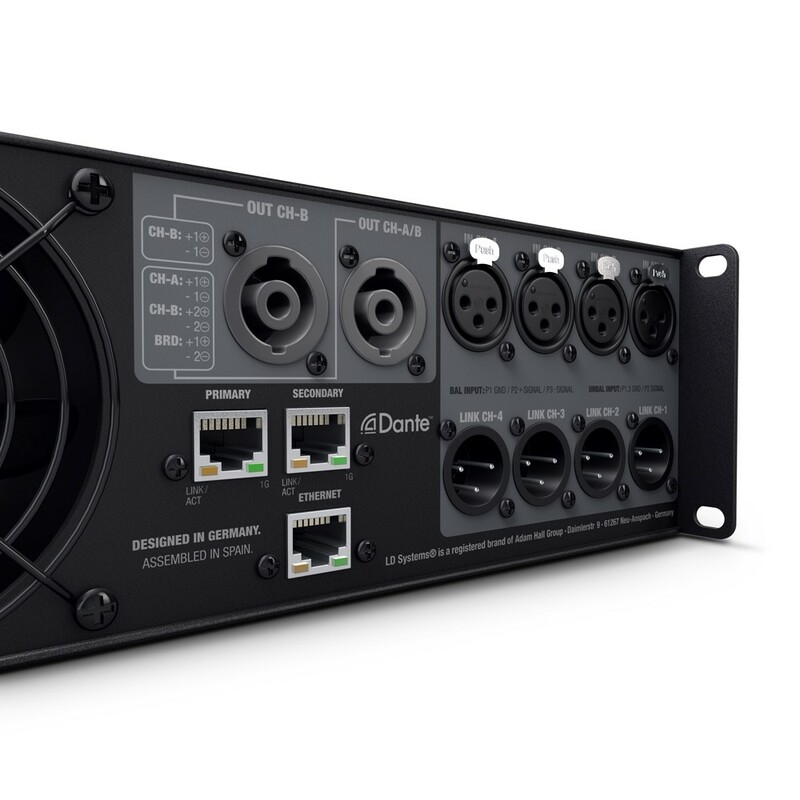 The powder-coated 1 U steel panel features 4 x Neutrik speakON, 4 x Neutrik XLR female, 2 x Neutrik XLR male and 1 x RJ45 sockets for connection and signal routing flexibility. 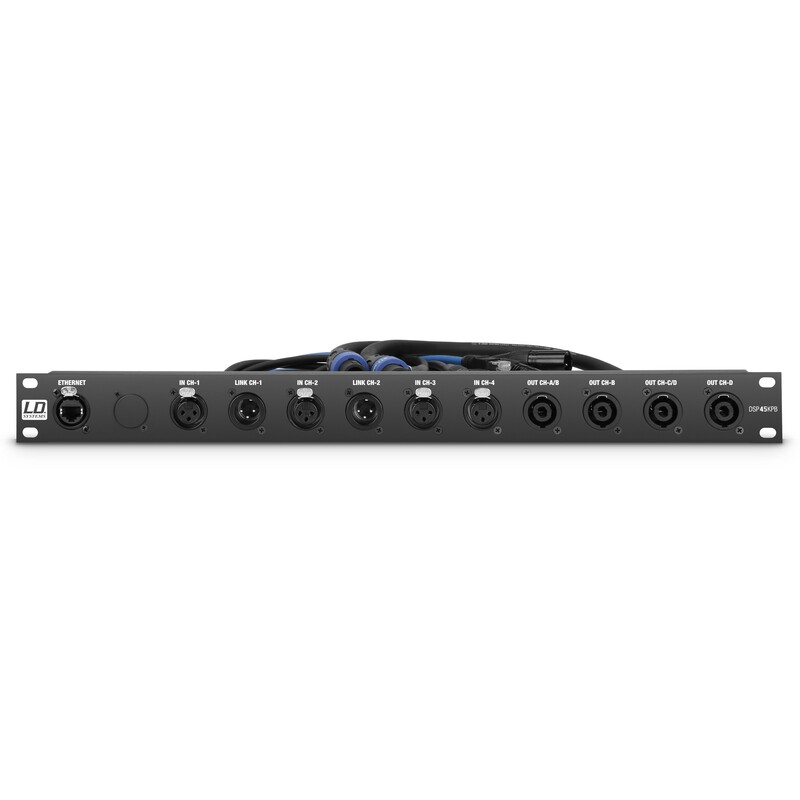 This 19-inch patch bay for the LD Systems DSP 44 K facilitates convenient access to the power amplifier’s inputs and outputs from the rack front. 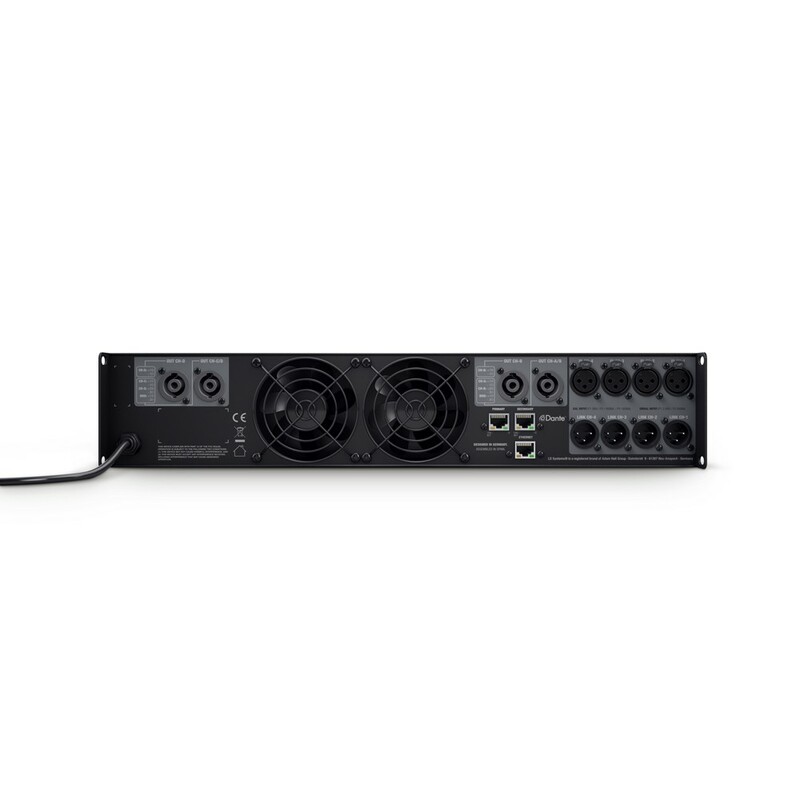 The powder-coated 1 U steel panel features 4 x Neutrik speakON, 4 x Neutrik XLR female, 2 x Neutrik XLR male and 2 x RJ45 sockets for connection and signal routing flexibility.